In this line of work, it's very easy to start taking things for granted. Every day it seems like you're being shown another exclusive game or you’re meeting your heroes. Free games come through the post regularly and your workmates practically sit on thrones carved from super-expensive graphics cards. Every day is another battle in the war to keep a sense of proportion. But, let me tell you, getting to see Fallout 3 before it was released was like a dream come true and, as one of the biggest fans of the series in the world, you can take it as a huge endorsement when I say that the game looks fantastic. 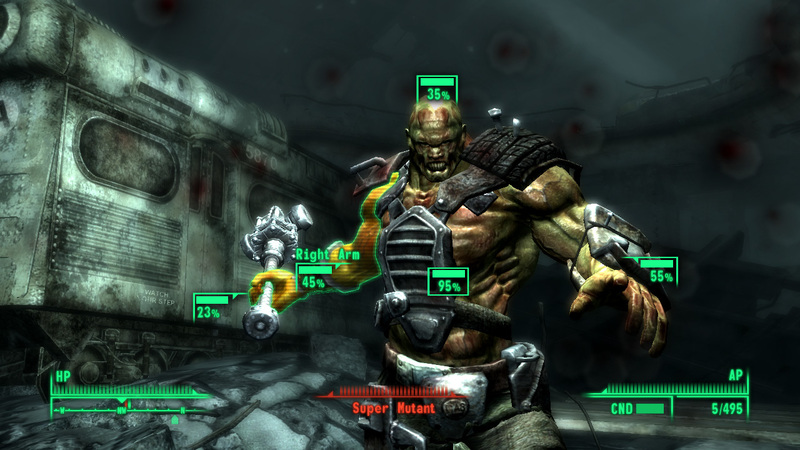 The sequel to Interplay's classic RPGs of the early nineties, Fallout 3 has been a controversial game to say the least. The sale of the game license to Bethesda may have revived the failing Interplay, but it also incensed fans who reacted strongly to the shift of developer and perspective. Can one company's seminal isometric RPG be another company's first-person sandbox RPG? Never mind the fact that it has shifted to the makers of The Elder Scrolls series – is such a thing even possible? When Bethesda's Pete Hines told us that there'd be crying babies on show in Fallout 3, I have to admit that I got the wrong impression. I started wondering if Bethesda had lost the plot or if I'd stumbled into a press screening for Manhunt 3 by mistake. It turned out though that there was nothing so sinister about the warning and my imagination was the only disturbing thing about it. After a quick Ron Perlman voiced introduction, Fallout 3 kicks off properly with the birth. And yes, just so we're clear, hearing Ron 'Hellboy' Perlman utter the immortal words “War. War never changes” did make a shiver run up my spine. In fact, as the intro went on and I realised that Bethesda had absolutely nailed the tone of the series. That shiver stopped just running up my spine and started doing laps instead. The setting is Vault 101 and the person being born is you, the player. It's dark and hard to see, but as the nurse severs the umbilical cord and your Doctor father swims in and out of focus things start to clear up. As the computers scan you, you go through the process of deciding your gender and look. The game very quickly starts jumping about though and the next thing you know you're a year old and your father is helping you work. When Dad leaves the room for a minute then you get a chance to decide what sort of person you want to be and learn more of the world around you. It isn't all smooth sailing and introspection though and as things progress there's a very real sense of claustrophobia and being fenced in. Don’t worry though, this is deliberate – there's something very wrong with Vault 101. If you're a wizened old Fallout fan boy like me then you probably already know the root of this, but if you're a newcomer to the series or just a little rusty with your backstory recollection then let us remind you. 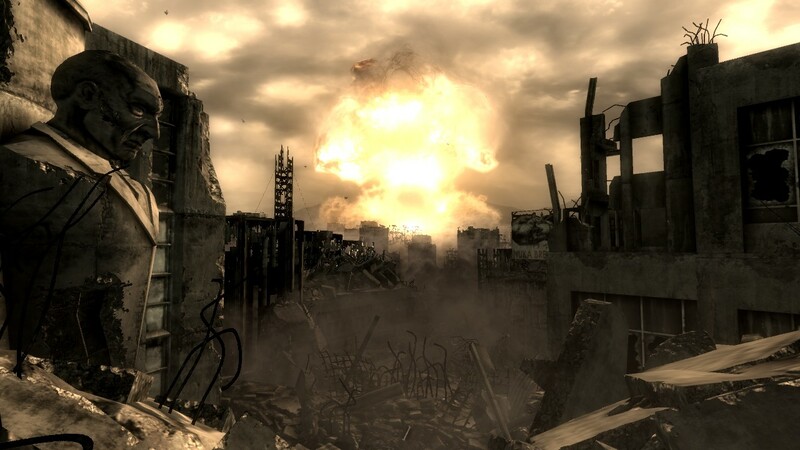 Set after a very brief but very devastating nuclear war, humanity was almost wiped clean from the face of the Earth – those survivors on the surface becoming twisted, sterile mutants and ghouls. Yet not everyone perished and many thousands of people escaped to huge underground vaults provided by the US Government. What very few people knew though was that the vaults weren't there to shelter the weak, but there to study the survivors. Each of the vaults had a very specific defect or flaw that would make life inside a little more interesting and in Fallout 2 you learned more of these flaws. Vault 13 for example, your home in Fallout 1 would run out of water far too soon. Other vaults were populated with only men or only women, while others were never sealed properly.